Obama increasingly comes across as devious and dishonest. 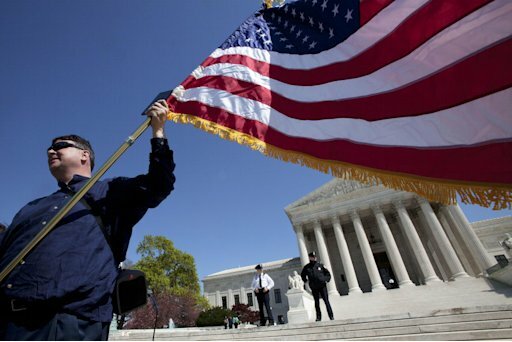 Reporting from Washington— The Supreme Court’s conservative justices Tuesday laid into the requirement in the Obama administration’s healthcare law that Americans have health insurance, as the court began a much-anticipated second day of arguments on the controversial legislation. Even before the administration’s top lawyer could get three minutes into his defense of the mandate, some justices accused the government of pushing for excessive authority to require Americans to buy anything. “Are there any limits,” asked Justice Anthony Kennedy, one of three conservative justices whose votes are seen as crucial to the fate of the unprecedented insurance mandate. Chief Justice John G. Roberts Jr. suggested that the government might require Americans to buy cellphones to be ready for emergencies. And Justice Antonin Scalia asked if the government might require Americans to buy broccoli or automobiles. “If the government can do this, what else can it … do?” Scalia asked. The tough questioning of the administration’s lawyer is no sure sign of how the justices will rule when they hand down their decision in the case, Department of Health and Human Services, et al., vs. State of Florida, et al., likely in June. But Tuesday’s arguments may signal trouble for the mandate, widely seen as a cornerstone of the law’s program for achieving universal healthcare coverage for the first time in the nation’s history. With the court’s four liberal justices expected to vote to uphold the sweeping law, the administration will have to win over at least one of the five justices on the court’s conservative wing. Few believe Justices Clarence Thomas or Samuel A. Alito Jr. will support the mandate. That has made Scalia, Kennedy and Roberts the focus of intense speculation for months. Solicitor General Donald B. Verrilli Jr. tried to argue that the insurance mandate would not open the door to other requirements to buy products because healthcare is unique. “Virtually everyone in society is in this market,” said Verrilli, who was prodded on by Justice Ruth Bader Ginsburg and other liberal justices. That means that if someone elects not to get health insurance but then gets sick, as everyone will, that person will pass along costs to everyone else, Verrilli explained. To prevent that, the administration has argued that that Congress can use its authority under the commerce clause of the Constitution to impose the mandate as a means to regulate health insurance. The Constitution says Congress has the power to “regulate commerce” and to impose taxes to promote the general welfare. The court has in the past upheld federal laws regulating all manner of business — from agriculture and aviation to who can be served at the corner coffee shop — and Roberts, Scalia and Kennedy have in other cases supported the government’s broad authority in that area. But Tuesday, the three — and Alito — repeatedly criticized the requirement to buy health insurance as forcing people to enter a market, which they said was a new and troubling use of federal power. “That changes the relationship of the individual to the federal government,” Kennedy said. The architects of the 2010 Patient Protection and Affordable Care Act included an insurance requirement after years of experience with insurance markets suggested that it is very difficult to guarantee health insurance to everyone, including people with preexisting medical conditions, without a way to induce younger, healthier people to get covered. That offsets the cost of insuring older, sicker ones. Health policy experts warn that without some incentive to get insurance, people could wait until they got seriously ill and then sign up for coverage, pushing up premiums for everyone. The mandate was once embraced by both political parties. But more recently, it has been seized on by conservative critics of the healthcare law as an egregious example of government overreach. And it became the crux of lawsuits challenging the healthcare law by 26 states and plaintiffs represented by the conservative National Federation of Independent Business. Over the last two years, federal courts across the country have issued conflicting rulings on the insurance requirement, though only one appellate court has backed the constitutional challenge to the law. Two high-profile conservative judges have supported the mandate. 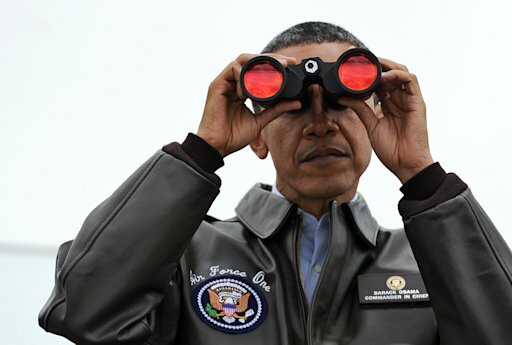 After squinting through binoculars into a nation frozen in time, US President Barack Obama reeled off a contempt-laden and startlingly frank indictment of North Korea. The Stalinist remnant of the Cold War was, in Obama’s eyes, nothing but a nation which cannot make “anything of any use”, “doesn’t work”, and even its vaunted weapons exports were hardly state of the art. “It is like you are in a time warp,” Obama said Sunday, after he toured a rocky border post in the demilitarised buffer zone that has split the Korean peninsular for longer than he has been alive. “It is like you are looking across 50 years into a country that has missed 40 years or 50 years of progress,” Obama marvelled later, after taking a helicopter back to teeming, prosperous Seoul, just 25 miles (40 kilometres) away. WASHINGTON (AP) – The U.S. intelligence community will now be able to store information about Americans with no ties to terrorism for up to five years under new Obama administration guidelines. 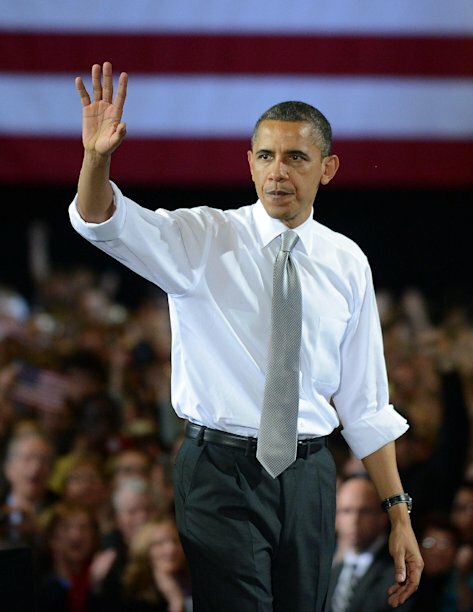 The White House’s late-week release of an executive order has sent the online community into an uproar, worried that President Obama had secretly provided himself means to institute martial law in America. Filled with language about “government-owned equipment” and a “defense executive reserve,” among other vague statements, rumors began to spread that the executive order expanded the president’s power to do everything from seizing whole industries to drafting private armies. Staff Sgt. Robert Bales, accused of killing 16 Afghan civilians, has been deployed three times to Iraq where officials say he suffered a traumatic head injury. NBC’s Miguel Almaguer reports. U.S. officials told NBC News on Friday that the soldier suspected of shooting 16 civilians in Afghanistan is Army Staff Sgt. Robert Bales. Bales, 38, was deployed to Afghanistan in December with the 3rd Stryker Brigade, based out of Joint Base Lewis-McChord, south of Tacoma, Wash., the officials said. George Clooney arrested, handcuffed, outside Sudan embassy in D.C.
“We’ll find out, won’t we? Sorry officer. It’s a long process so we’ll see,” said Clooney, in handcuffs. US soldiers were asked to disarm during a speech by Leon Panetta, the American defence secretary, in a sign of grown concern over spates of seemingly random violence in Afghanistan. Less than a week after a US staff sergeant allegedly massacred 16 civilians in Kandahar, American soldiers were banned from bringing guns into a talk by Mr Panetta at a base in Helmand province. Around 200 troops who had gathered in a tent at Camp Leatherneck were told “something had come to light” and asked abruptly to file outside and lay down their automatic rifles and 9mm pistols. “Somebody got itchy, that’s all I’ve got to say. Somebody got itchy – we just adjust,” said the sergeant who was told to clear the hall of weapons.